Cilantro, also known as coriander or chinese parsley, is an annual herb in the Apiaceae family, which also contains other nutrient dense foods including parsley, celery, anise, carrots, and parsnip. All parts of the cilantro plant are edible, but the fresh leaves and dried seeds, also known as coriander, are most commonly used in cooking. Cilantro is a popular herb due to its fresh and bright taste, but it is so much more than just a versatile culinary herb! Cilantro is loaded with beneficial phytochemicals, vitamins, minerals, and antioxidants which have many health benefits! Raw cilantro leaves are about 92% water, 4% carbohydrates, 2% protein, and less than 1% fat. The nutritional profile of coriander seeds is different from the fresh stems or leaves. In a 100 gram reference amount, the leaves are particularly rich in vitamin A, vitamin C and vitamin K, with moderate content of dietary minerals such as calcium, iron, potassium, and magnesium. Although the seeds generally have a lower content of vitamins than the fresh leaves, they do provide a significant amount of dietary fiber, calcium, selenium, phosphorus, iron, magnesium, and manganese. Coriander has been used for thousands of years to treat digestive upset symptoms like nausea, bloating, indigestion, and heartburn, and to ease stomach cramps. Cilantro also contains the antioxidants beta-carotene, beta-cryptoxanthin, lutein, and zeaxanthin. 100 grams of cilantro contains only 23 calories! 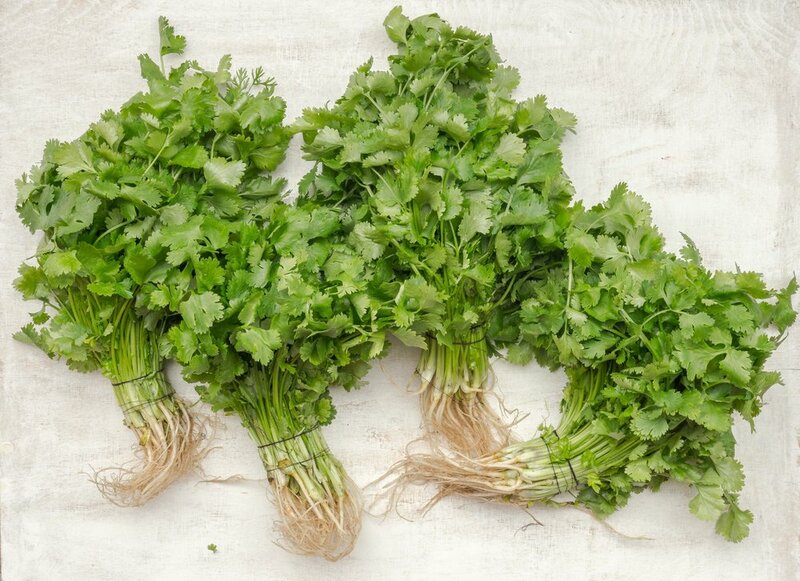 Cilantro leaves have been shown to help remove harmful heavy metals. Most people are unknowingly exposed to heavy metals on a regular basis. Over time, these toxins can build up in your tissues where they can wreak havoc on the body. However, evidence suggests that cilantro is an effective chelator, which means the chemicals in cilantro can bind to heavy metals and allow your body to excrete them more effectively. Cilantro has also been shown to support heart health. About one of every four deaths in North America are caused by heart disease. Those are some scary statistics! 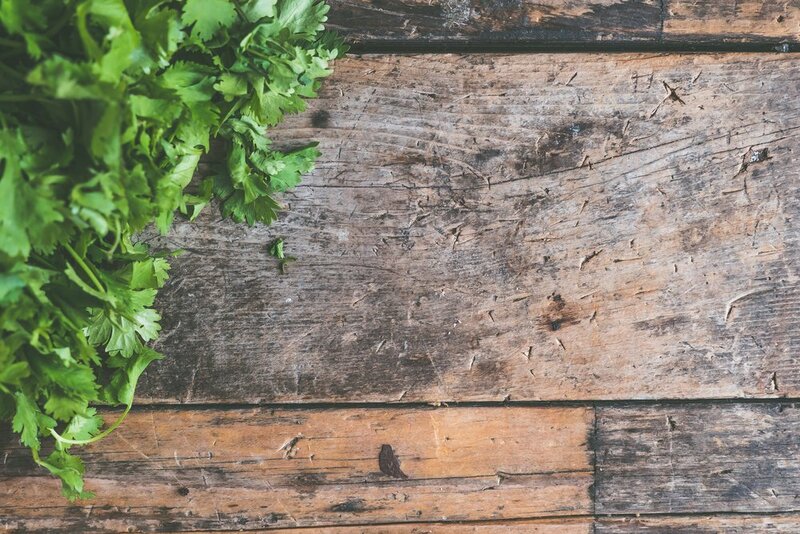 The good news is that eating a diet rich in leafy greens can help protect your heart, and cilantro is one of those foods that can give you an extra edge against oxidative damage to your heart. Evidence suggests that the phytochemicals and antioxidants in cilantro could protect your heart from oxidative damage and other heart disease in order to keep it happy and healthy! 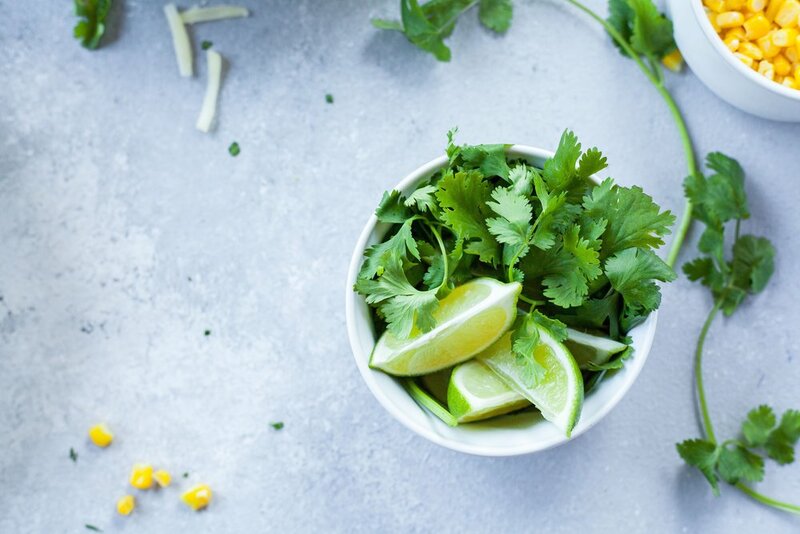 · In a study, most people perceived the taste of cilantro leaves as a tart, lemon/lime like taste, but a smaller group, of about 4–14% of people tested, thought the leaves tasted like bath soap, as linked to a gene which detects aldehyde chemicals also present in soap. · Evidence suggests you can reduce your chances of getting food poisoning by consuming cilantro with a meal. 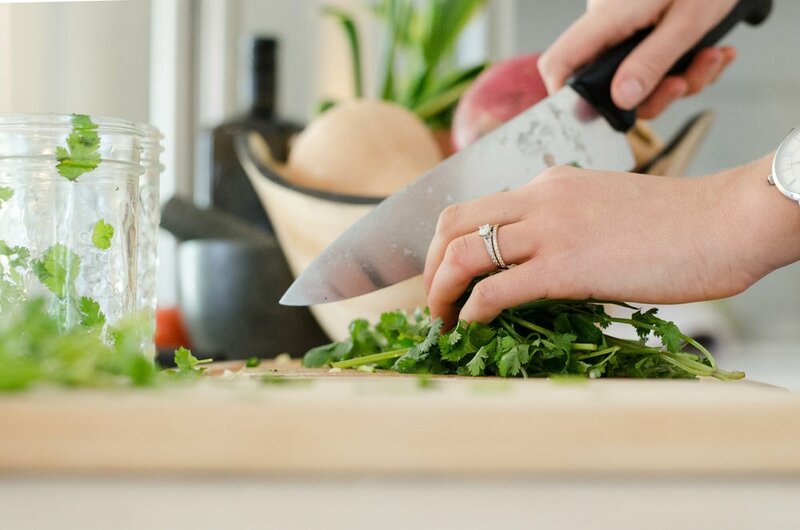 A study published in the International Journal of Food Microbiology found cilantro is particularly protective against listeria – a bacteria that often causes what we know as food poisoning. At Healthfare, cilantro is used as garnish on our soup as well as being added to the tropical salsa, which adds a fresh pop of flavour to our delicious chicken sandwiches. Make sure to stop by our Kamloops location inside the Tournament Capital Centre to ask us any questions you may have and get in your daily dose of cilantro! Connecting People With Real Food.